Super fly plus fly repellent gel is a very popular gel fly repellent for horses from the Barrier animal healthcare range. This super strength formula fly repellent gel for horses contains 100% natural ingredients, and defies all blood sucking & nuisance flies, including Midge, Bot & Horsefly. 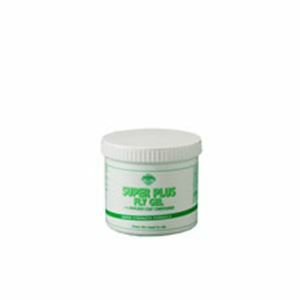 Super fly plus helps stop the need to rub, and can be applied to raw & exposed areas to soothe and calm irritation. This equine fly repellent gel also contains avocado to thoroughly condition the hair & skin, whilst being free from citronella, vinegar and all prohibited substances.